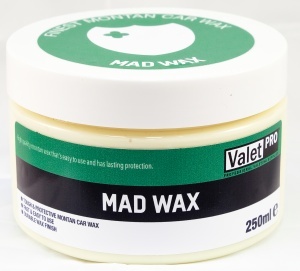 Valet Pro Mad Wax is a great value for money car wax that performs as well as other waxes many times its price. It's easy to apply and buff to a high gloss shine. 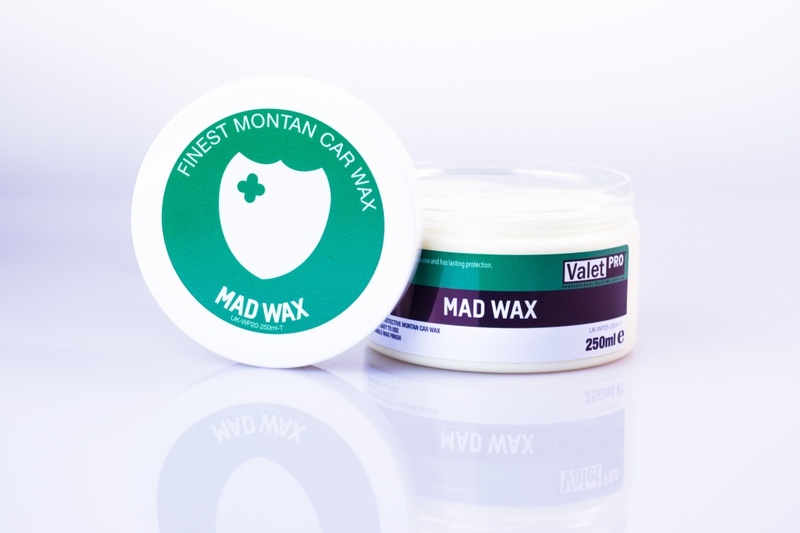 Manufactured using a blend of Montan and Carnauba waxes, it's easy to use, has fantastic gloss and best of all offers up to three months durability. Montan Wax is an alternative to Carnauba as it has many of the properties Carnauba Wax does. It gives good gloss and is a very durable wax. A great car wax that leaves a finish to be proud of. 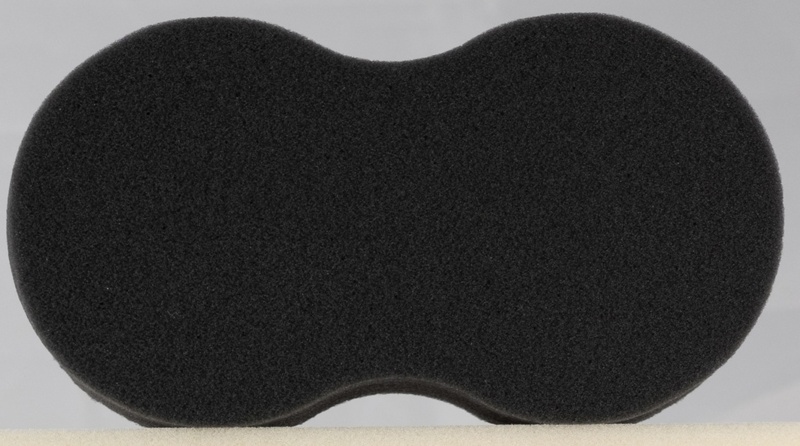 Buff off with a soft microfibre to a high gloss shine.